TrendsOnline.dk did an interesting serious of talks with Stockholm Entrepreneurs and VCs. The last one in this series was with Martin Hauge from Creandum. Martin is in a special position as he has lived in Copenhagen a long time, but is now based in Stockholm. 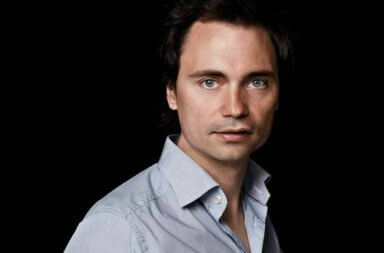 Martin is partner and one of four owners of Creandum, which is a traditional venture capital fund. Creandum manages around €250M in three funds. The newest fund is €135M, and was announced as recently as a couple of month ago. “We’re looking for a team that we believe have a long-term perspective and are interested in building something great. Not a team that only wants to earn 20 million and play golf in Spain, but a team who is interested in making a really big company. We are looking for products that you can call game changers.” says Martin Hauge. When Creandum makes an investments, they evaluate the basis of three factors: team, product and market. “When I say team, product and market, then it might be market that is the most important part. There must be a huge market. A large market that is ripe for change.” says Martin Hauge. With game-changing, he means innovative products that solve big problems in a new way. 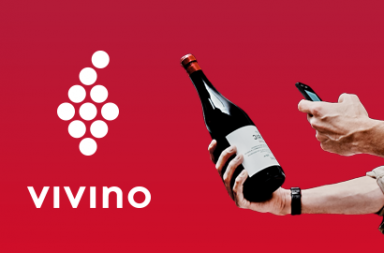 He finds for instance Danish startup Vivino, in which they have invested, as a good example of a game changer. In addition, the wine market is really big, and that is also very crucial. Martin Hauge has a thorough knowledge of all three Scandinavian startup ecosystems. This is due to his Norwegian origin, his past with 10 years spent in Denmark, and now being located in Sweden. He has been involved in Creandum since 2004 and moved in 2006 from Denmark to Stockholm with his family. When he speak about the difference between the Swedish, in this case often Stockholms startup scene, and Denmark he mentioned some interesting facts. Another area where Sweden differs from Denmark is in relation to investors and venture capital. Here, the Swedish investors generally have a broader perspective than the Danish, says Martin. When investing, it is not in Sweden or Denmark – it is in a European, global company. “At Creandum we invest primarily in startups in the Nordic region, and when we raised or latest fund and talked to investors in Denmark, these investors are only interested in what we do with investments in Denmark . This is a question that we do not get from Swedish investors. They have a much broader perspective when it comes to this” says Martin Hauge. According to Martin this is because Swedish entrepreneurs to a greater extent have realized that it is not enough to be successful on their own domestic market. If you want to do something big, you have to out of your own country. At Creandum it is Martin Hauge who is responsible for the Danish market, and he sees great potential in the market. “Denmark is right now a very interesting market, there are many exciting companies. But Denmark is also a small market, and for us it is often a matter of helping companies to come out of Denmark. And this we also see in a lot entrepreneurs who talk to us in Denmark, that they seek investments in order to expand across borders.” explains Martin Hauge. 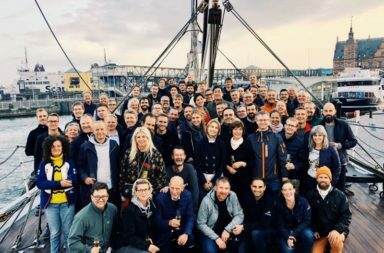 This is consistent with one of Creandums Danish investments, Vivino, that is currently expanding to the U.S. Martin Hauge could also reveal that Creandum has more Danish investments in the pipeline, which are probably going to take place after the summer. “There are things brewing on the Danish market. Right now we have actually two companies that we look closely at in Denmark. And it would surprise me if we got to do at least one of the investment.” concludes Martin Hauge. Read the entire interview (in danish) with Martin Hauges’ thoughts. Even if he mentions Stockholm is a stronger scene then Copenhagen and Denmark, it gives an interesting point of view on our ecosystem and also a list of issues that can be improved and worked with. Also a big thanks to TrendsOnline for their enthusiastic work with covering danish Startups and Entrepreneurs, and also this series of Swedish ones. TrendsOnline recently turned 3 years, and have done some great contributions to the Danish Startup scene, not the least with their Tech BBQ event earlier this year. *We are proud that he mentioned Qiktech, one of the success stories from our region.